I have tried the Pandowdy quite a few times but have always been disappointed with the pastry, that is, until now. I have finally found the perfect pastry for the Pandowdy. As I have tried it many times, I also have numerous fillings I will share with you over the next few weeks as they were all lovely. I couldn't share them earlier as the pastry always disappointed me, but now I can share them with you and they will all share this sour cream pastry, as it is beautiful. 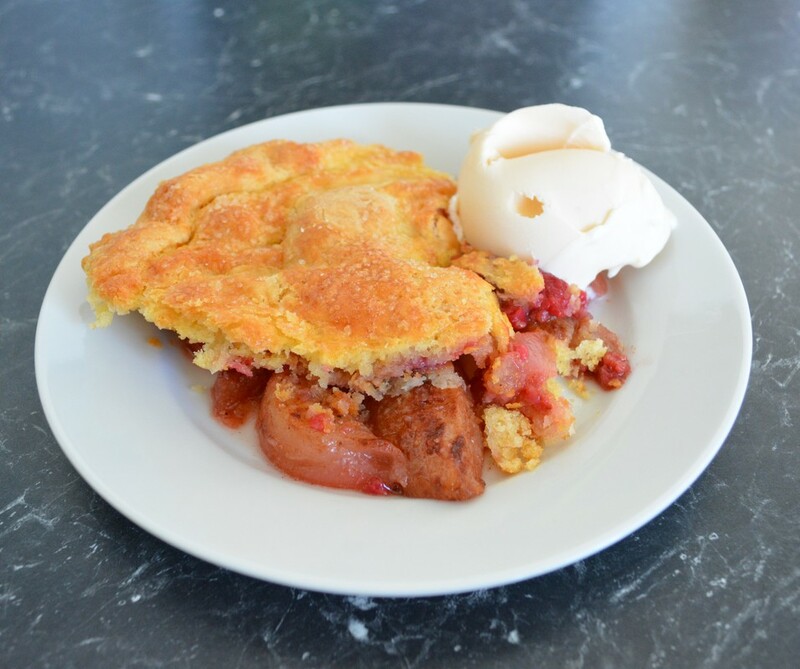 The Pandowdy is a bottomless fruit pie with a crumbly pastry on top. Most of the recipes I have tried are made completely in a frying pan. 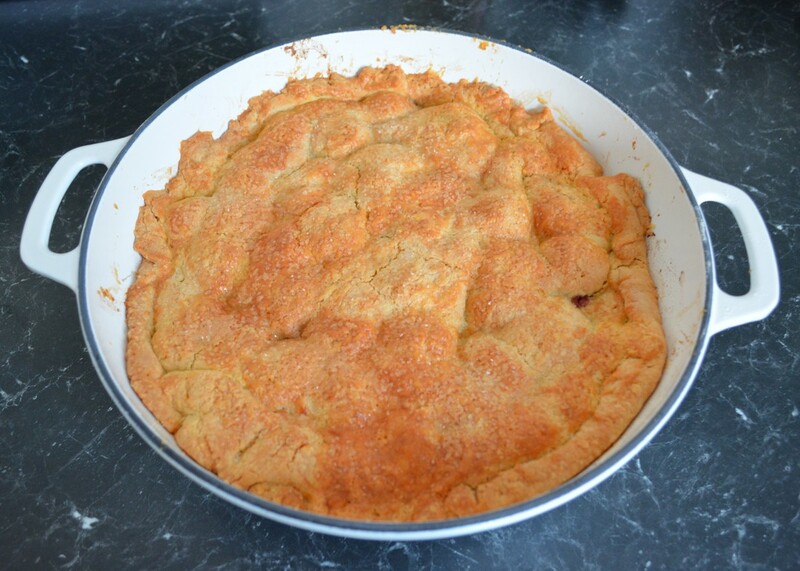 This one however is a completely baked version that I made in a pie dish. Super easy, super tasty. You can make this in any oven proof dish, any shape, any size. I actually made the pears earlier in the day so I have less cooking to do at night. Then I just made the pastry before dinner, so while we were eating dinner, dessert was baking, and would be ready when we finished dinner. It is the perfect ending to dinner for me as it is so light. For my family fruit desserts are always a hit, they just love them. 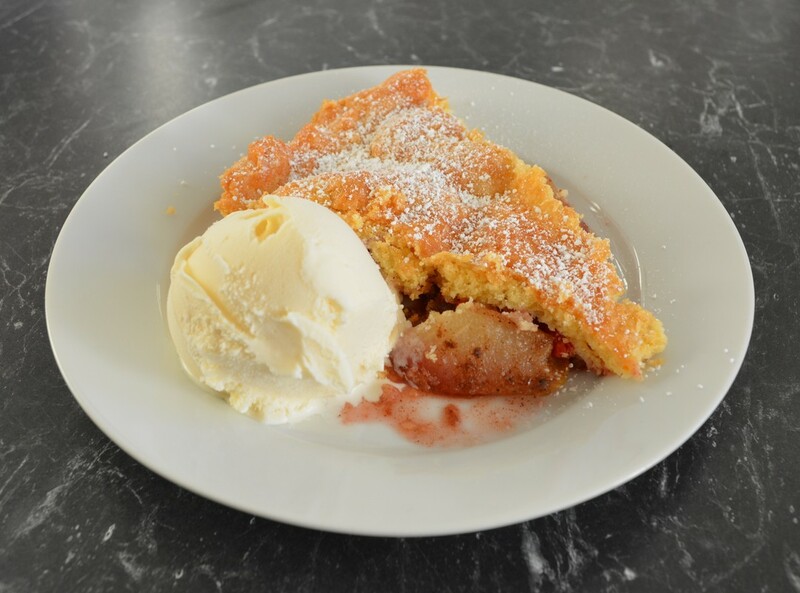 I love it served hot with vanilla ice cream, my husband again prefers plain Greek Yoghurt. Peel the pears, cut each pear into 8 wedges. Remove the cores. Place the pear wedges in a 1.5 litre ovenproof frying pan or round baking dish. Add the cinnamon, mixed spice and caster sugar, mix to combine. Drizzle over the honey. Bake for 1 hour or until the pear is tender and sticky. Cool for 30 minutes. Increase oven to 180C/160C fan forced. Process the flour, icing sugar, custard powder and butter in a food processor until the mixture resembles coarse breadcrumbs. Add the egg and sour cream and process until the mixture almost comes together. Turn pastry onto a lightly floured surface. The pastry is quite sticky. You can refrigerate for 30 minutes to firm it up. Or if you need it straight away, get a sheet of baking paper, dust it with flour. Place the dough on top, press it down to give a flat surface. Lightly dust the dough with flour. Place on another sheet of baking paper. Roll out into a disc slightly larger than the frying pan or dish. Top the pear mixture with the raspberries. Carefully peel off one layer of the baking paper-it can be sticky, use a knife to assist. Place the pastry over the pear mixture, allowing edges to overhang. Carefully peel off the baking paper. Don't stress if it tears a little, just stick on some of the overhanging bits, this pastry is very forgiving. Fold the overhanging bits back onto the pastry. It is amazing how this bakes perfectly even on these thick edges. Brush with whisked egg and sprinkle with Demerara or raw sugar. Place on a baking tray and bake for 35-40 minutes or until crisp and golden. ​​Serve with vanilla ice cream.